Come join us to create two darling mini Christmas stockings using Scandinavian designs. Stockings are pre-made and ready to stitch. 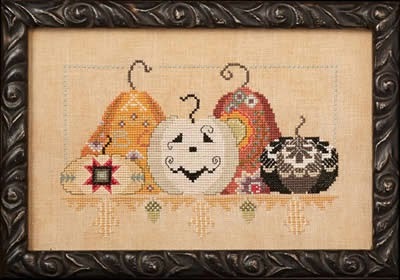 A fun afternoon sharing new projects, ideas, stitching time and treats with other stitchers. Sign up now. 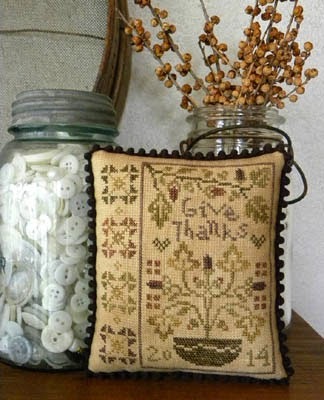 Here are some new arrivals for you to enjoy: Give Thanks and My Work – beautiful small designs by Threadwork Primitives. 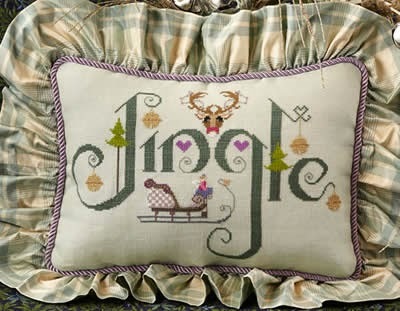 From Cross Eyed Cricket comes Playing With Jax, an assortment of the cutest pumpkins ever, and Jingle, a design that will remind you of sleigh bells and cold winter evenings. 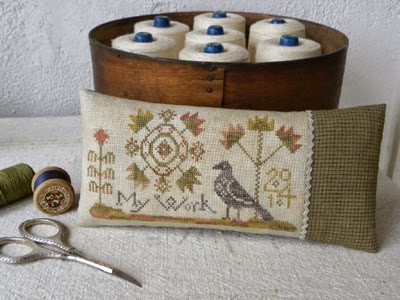 For those who have not followed the Sam Sarah mystery sampler, it is now complete and you may see the entire stitched model in our shop. It is a mystery no more, but a colorful, fun wall hanging. Check it out here. New things arriving daily so come by and see what’s new.